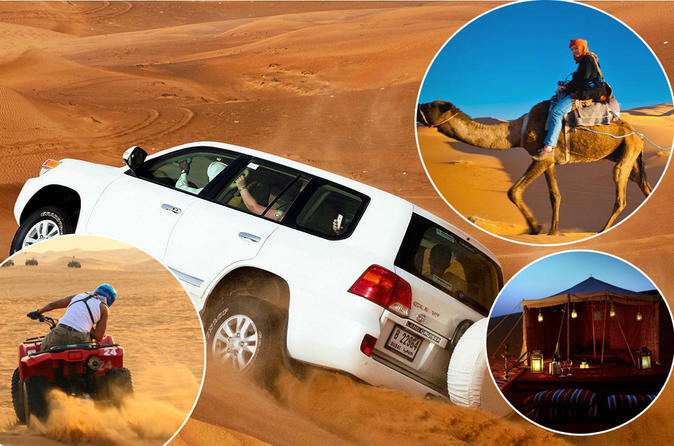 Dubai is situated in the middle of the desert, and offers some great outdoor activities for adventure seeking enthusiasts. 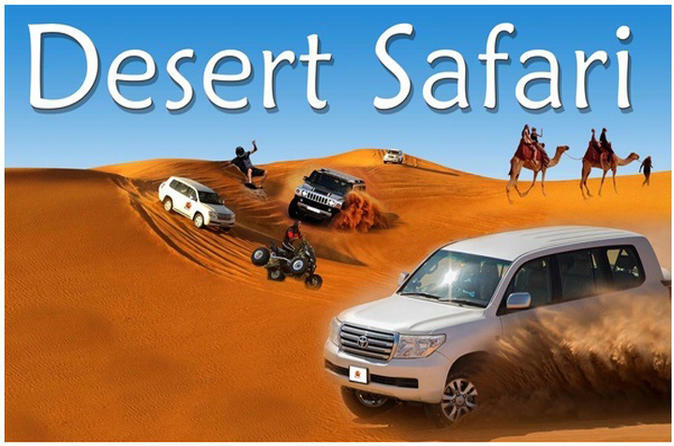 Take your pick from the numerous desert safaris and have plenty of leisurely time ahead in the rustic Arabian countryside. 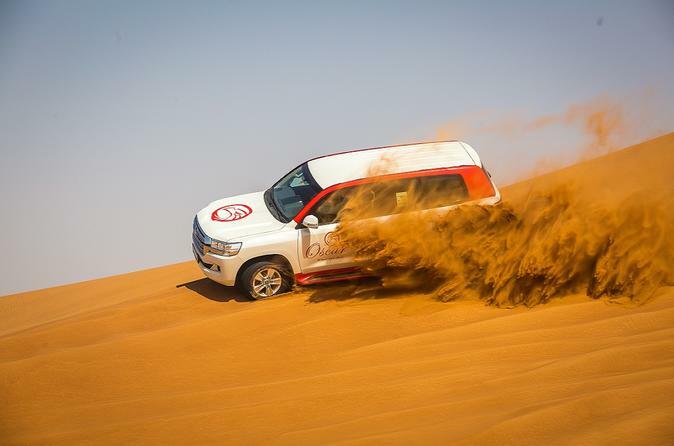 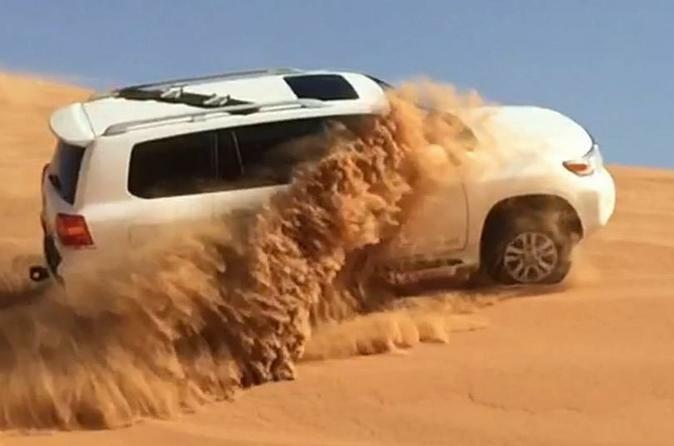 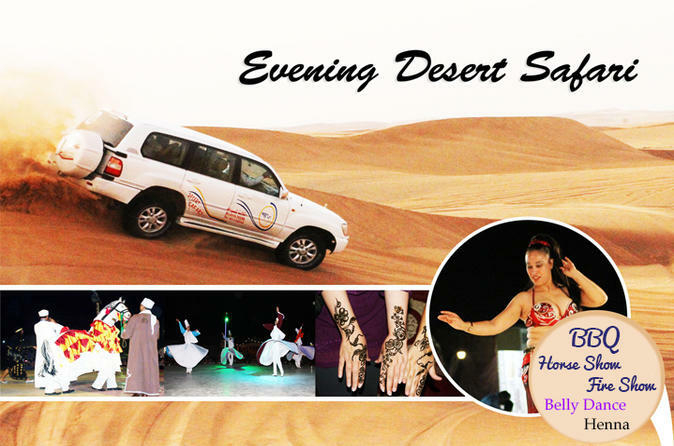 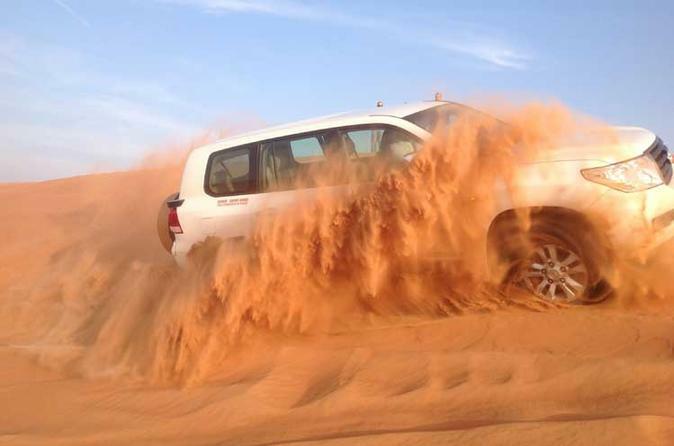 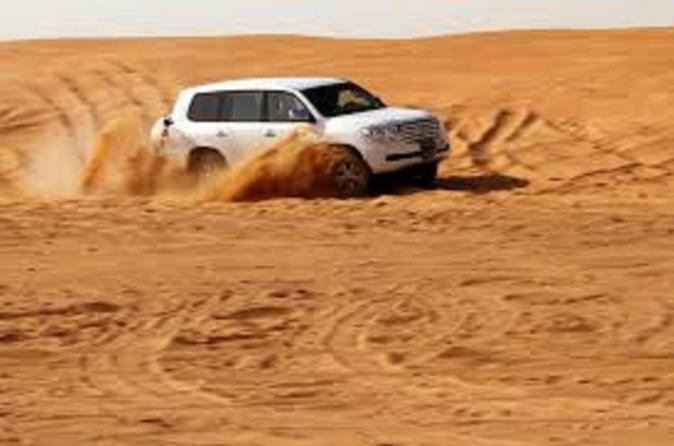 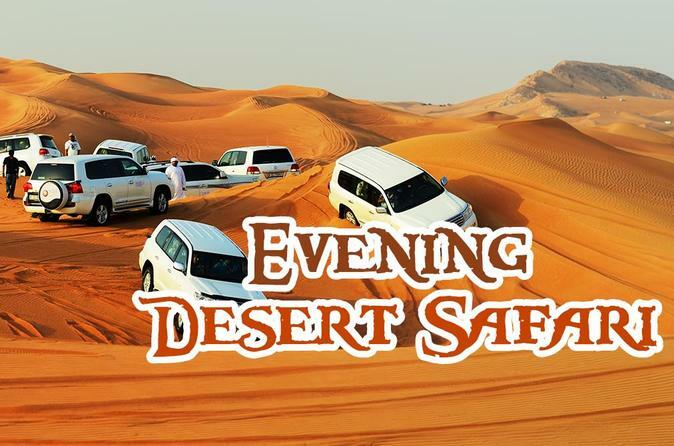 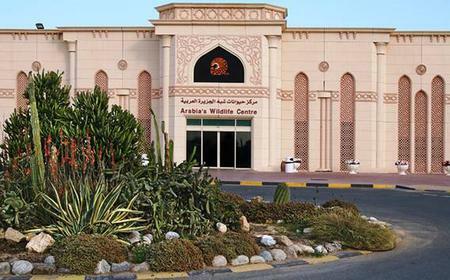 Your 4WD tour will take you straight down from Dubai into the vast, barren but picturesque desert with infinite sky. 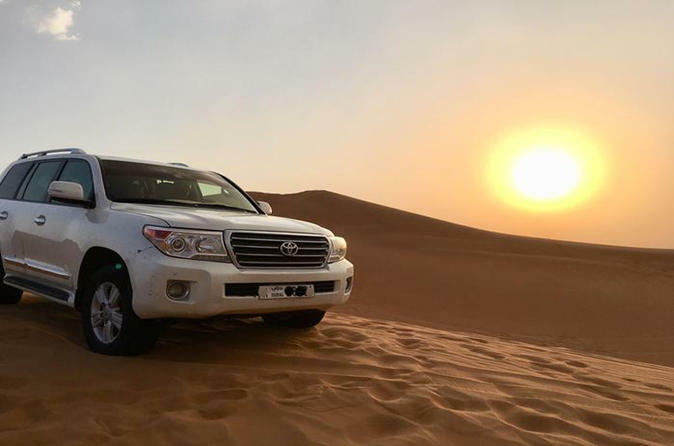 Most safaris normally start later in the day, when the sun starts lowering on the western horizon behind the Hajar mountains, and the sand dunes cast larger shadows as you bash them. 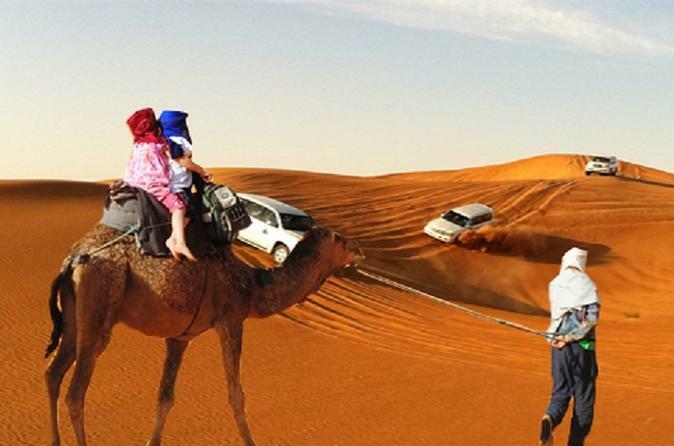 You may encounter scattered villages and well-bred camels ferrying tourists on your way to the camp. 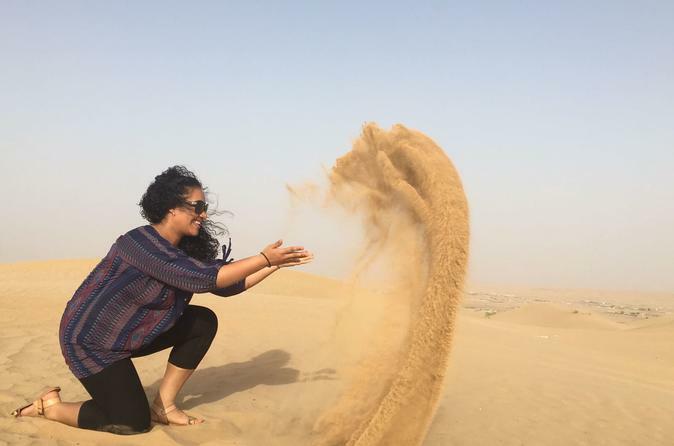 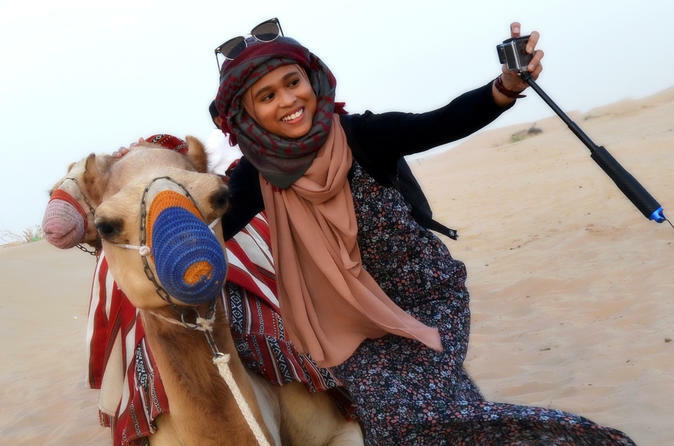 You can try a camel ride too, or sandboarding on the smooth dunes. 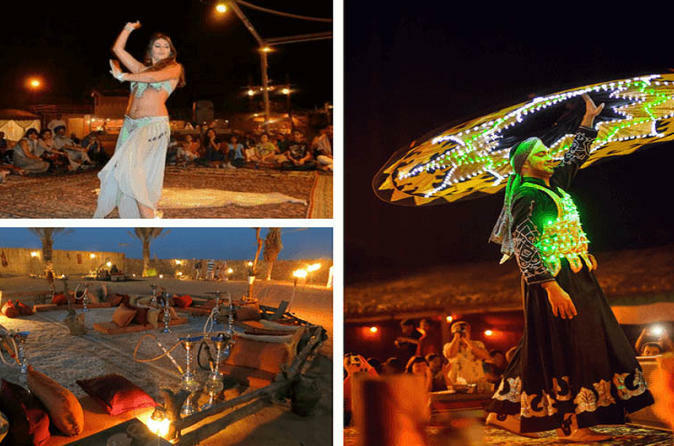 Settle down in your camp to an evening of belly dancing, Tanoura shows, henna painting, hookah, dates and a sumptuous BBQ dinner buffet under starry skies.